It’s an all steel gun with corresponding weight. 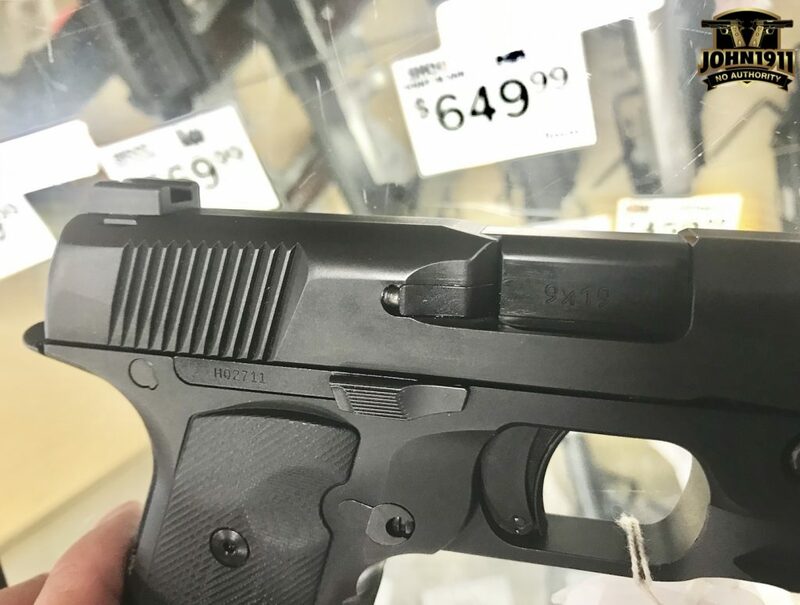 I like that the rear sights are a ledge format. The fit and finish seems very high. The trigger is very good. But not good enough to redefine Western Civilization. Mag witness holes are unmarked. The gun feels REALLY good in the hand. That goodness appeals to both Glock and 1911 fans. IMO, the gun is under-sprung. Hudson likely has to do that to ensure it cycles cap ammo. I like how this example has a ledge rear sight. Let me expand on the under-sprung comment. That is not the end of the world. It is likely the HK VP9 is also under-sprung from the factory. Like HK or hate HK, nobody questions their credentials to build a handgun. And before all the internet judgment comes rolling in, let me throw you all a major, major curve ball. 1911 guys will tell you that a John Moses Browning spec’d 1911 pistol should be sprung somewhere around 14-16lbs. Some will say any higher is just covering up another issue. Which is think is bunk. 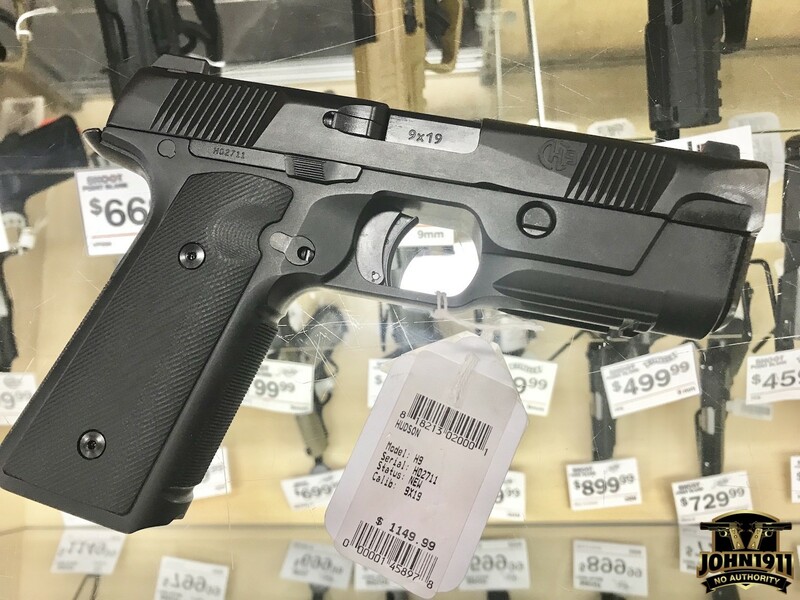 Most new production, factory 1911s made today come with a 18lb spring on 5” models. And a 20lb spring on commander sized guns. The pistol does present itself like a quality product. Me? I run 20lb springs in my 5” 1911s all day. Everyday. And have for years. Why is that? The heavier the spring, the longer the pistol will run very, very, dirty, dirty, muddy, muddy. To me that’s important. So what do 45 caliber 1911 spring weights have to do with a 9mm Hudson H9? Prima facie nothing. But…when we do get a Hudson…one day, it will be run with factory springs. But if I experience issues, the very first thing I am going to do is up the spring weight a slight amount. IMO the pistol seems a bit under-sprung. But that is a non-firing impression based off personal perception than anything technically right or wrong. Conclusions: I am of two minds concerning the Hudson H9. On one hand, as a proud US citizen, I am rooting for another gun company to be successful. And the only way I know how to truly do that is to actually buy a Hudson. On the other hand, the Armory isn’t a charity and it would be nothing to write off guns we don’t feel are worth putting into the reference collection. 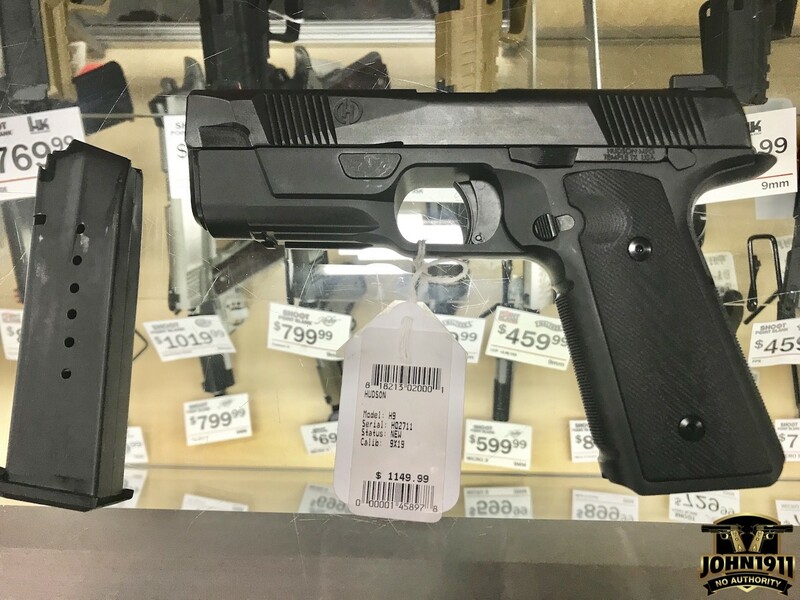 After actually handling a random, production H9 at a random, retail FFL; the Hudson H9 is still on the, “To Buy List”. That is not an endorsement or a prediction of the future for this pistol. All we are saying is as of right now, we are still willing to spend money on one.